Two more (historical) finished quilts to share. When I worked at Bellas, one of the books that we had was called Singular Sensations. 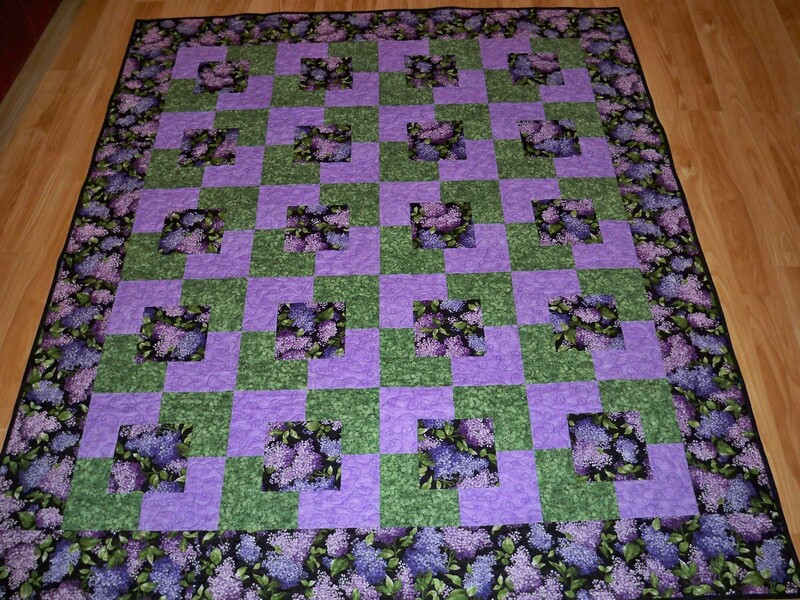 It has 14 quilts using the same square block. If you change the color placement, then you get a completely different looking quilt. Spiderman and Batman were also this block. This quilt was made for a student who had some type of medical condition… I don’t remember the exact details any more but I know she was in a lot of pain and missed a lot of school. At the time, I was spending a lot of time and effort making donation quilts for children in hospitals and it occurred to me that I should make one for her rather. 7-ish years ago, teal and brown were insanely popular. 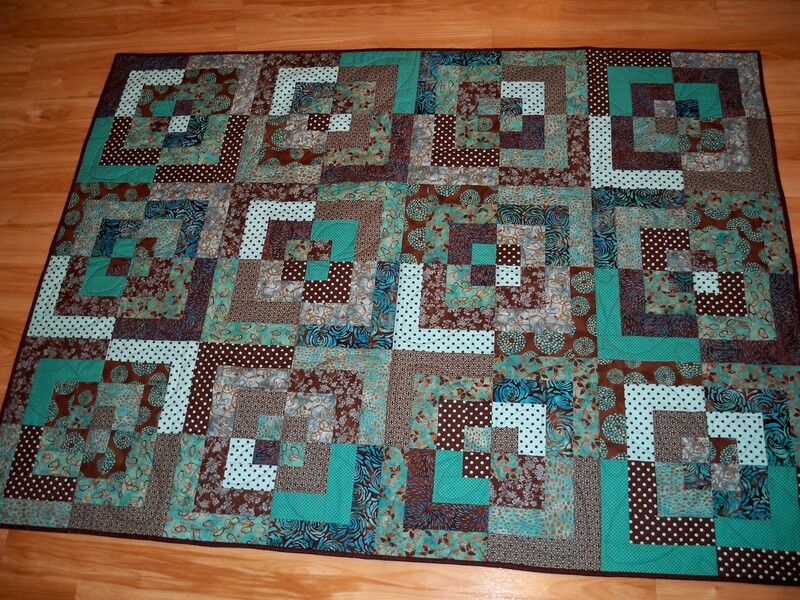 Every quilt shop I went to, there were so many teals and browns. I knew so many people decorating in teal and brown. My friends in Texas had just gotten married or were getting married, so this was their wedding quilt (and it was finished only 1 year late!) It’s modeled off of a Bento Box pattern but the only rule I stuck with was alternating teal and brown in each block and then in each segment.